It’s been hailed as “the Animal Farm of the 21st century” and now Laline Paull’s debut novel The Bees has made the shortlist for the Baileys women’s prize for fiction. Set in a beehive, The Bees tells the story of Flora 717, a humble, plain sanitation worker who manages to get into the Queen’s inner sanctum. The only first novel on this year’s shortlist, it’s up against works from five authors who’ve all previously been shortlisted for the award. Also competing for the £30,000 prize are Ali Smith for her award-winning novel How to Be Both, Anne Tyler for A Spool of Blue Thread, a look at the lives of the Whitshank family, and Rachel Cusk for Outline, her Athens-based tale of an author teaching a creative writing course. Sarah Waters is in the running for her 1920s novel The Paying Guests and completing the line-up is Kamila Shamsie with A God in Every Stone, the tale of a Pashtun soldier fighting in 1915. This is the 20th year of the prize, which used to be known as the Orange, and was set up to reward “excellence, originality and accessibility in writing by women from throughout the world.” Previous winners include Lionel Shriver for We Need to Talk About Kevin, Zadie Smith for On Beauty, Eimear McBride for A Girl is a Half-Formed Thing and Chimamanda Ngozi Adichie for Half of a Yellow Sun. 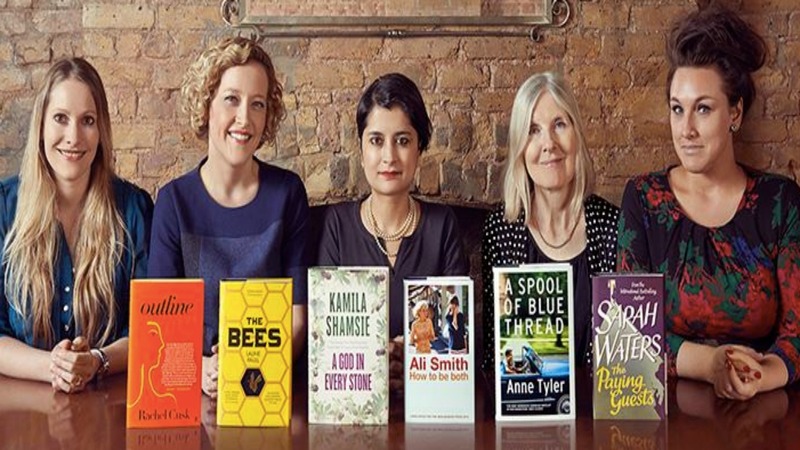 The judging panel consists of director of Liberty and Chancellor of Oxford Brookes University Shami Chakrabarti CBE, Everyday Sexism Project founder Laura Bates, columnist Grace Dent, author and former Orange prize winner Helen Dunmore and Channel 4 news presenter Cathy Newman. This year’s winner will be announced on June 3.